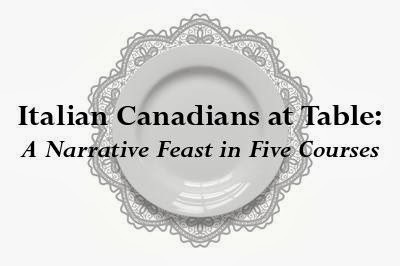 Italian Canadians at Table: A Narrative Feast in Five Courses is a collection of essays about Italian food and life and the lives of several Canadian writers, many of whom are Italian-Canadian. 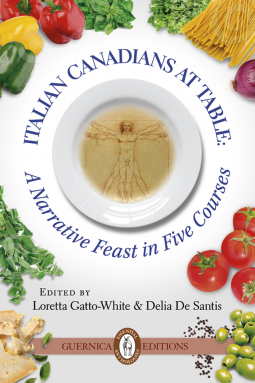 I requested a review-copy of this book because I love to read/review books about the hyphenated Italian experience. Divided into sections corresponding to an Italian menu, the essays are arranged under the headings: Antipasto, Primo, Secondo, Contorno, Dolce. 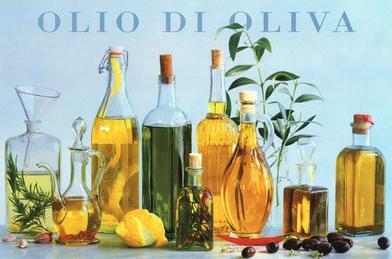 The locating of essays in a section did seem, at times, random, such as the "pasta" essay in the "Antipasto" section rather than the "Primo" section; and the "fruit" essay in the "Antipasto" section rather than the "Dolce" section; and the "turkey" essays in the "Primo" section rather than the "Secondo" section. The Introduction is an amusing summary of the culinary tastes of an immigrant nation. Canada's immigrants came/come from all over the world, just as in The United States, Britain, Australia and New Zealand. 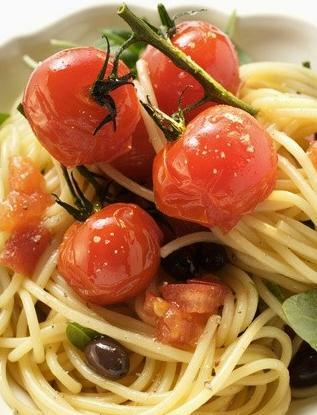 Descendents of Italian immigrants form a large part of the populations of each of these countries, but it is only recently that the food of their ancestors, predominantly southern Italians, has become chic. We want the rustic produce and products directly out of the farmer's field or the artisan's hand, to gather-up our families' generations on Sunday and share boldly coloured and flavourful food from big steaming majolica platters. We'll plant heritage tomatoes amongst the genteel delphiniums in our urban courtyards, challenge city hall for our right to raise chickens and wood-roast peppers in midtown backyards, forage in city parks for spring cicoria, and take courses on how to cure and hang our own Berkshire Pork prosciutto in downtown lofts. ... The cucina casalinga and cucina povera are the new haute cuisines. This change in fashion has had an effect on Italian-Canadians: they now see their immigrant parents and grandparents in a new light. Gardens and orchards that produced the foods they were used to, might once have been an embarrassment. Home-cured meats and homemade breads and wines were things that school friends often eyed warily and caused feelings of shame in the writers. Now, those things are desired by Italian-Canadians and non-Italian-Canadians alike! Central to the recollections is that "in Italian communities, rapport building has long been based on the gentle gesture of breaking bread". Food memories are some of the most resilient because they touch all of our five senses, so food can bring comfort in the form of the good memories it elicits. The essays take the form of biography, memoirs, poetry, anecdotes, even songs. The authors often relate how they felt as children, compared to how they feel today about their relatives' generosity when it came to food and the house-guest. Shame has been replaced by understanding, amusement, and even pride. There is a recognition that the attempt to keep up childhood-learned food rituals are actually a way to remember who one is, and where one came from. Before reading this book, I had only ever read essays on food by well-known writers in The New Yorker magazine. I knew from those essays that I enjoy the ones that tell a story from the writer's past, or the past of their relatives. I enjoy less the essays that try to interpret and comment upon societal changes. This was true with this book's essays, too. I especially enjoyed the essays by Joseph Ranallo, Angela Long, Darlene Madott, and Glenn Carley. I have worked along-side your men and you women and I love them, the way they loved me, not so much with the words but through the eyes into my eyes, through the gifts of paradise, through your ministry of presence. ... I have been grafted by large hands and I took and I took and I grew. 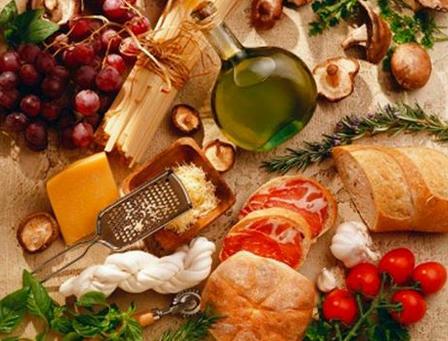 I also found interesting the essay that stated that innovation in Italian cuisine comes not from within Italy, which as become food-stagnant, but from Italophiles around the world. Because there is no plot-line to join the essays together, I found my interest was sustained best when I savored the essays in small batches, like dishes served at a long Italian wedding dinner. But why do we enjoy reading about other people's memories and lives? I suspect it is because they may spark our own long lost memories, and bring joy. They may help explain a friend or relative who grew up in a culture similar to the essayists'. They may point out the common human experiences that bind all of us together, no matter what our background. These essays do just that! The persistence of misconceptions about Italian-Canadian food culture raises many questions for us. 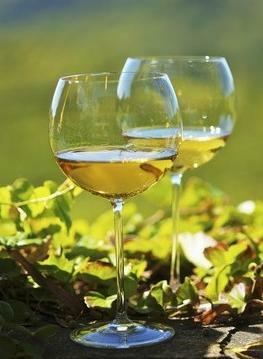 Are we gluttonous, inebriate and too loud? Do we force-feed guests? Are we in fact food-obsessed? How many grains of truth can a stereotype hold? We had to know, so we asked articulate and thoughtful Italian-Canadian writers and simpatico friends from British Columbia to Newfoundland. The responses were surprising, thoughtful, entertaining and often touching, making my co-editor, Delia De Santis, and I very glad we asked, as every piece which streamed over the internet's ether was a gift and a joy to read. And the result is Italian Canadians at Table, a passionate literary feast of poetry and prose. Italian Canadians at Table is published by Guernica, in a very attractive paperback and e-book edition.